The Resident Tourist: Discovering Columbus . 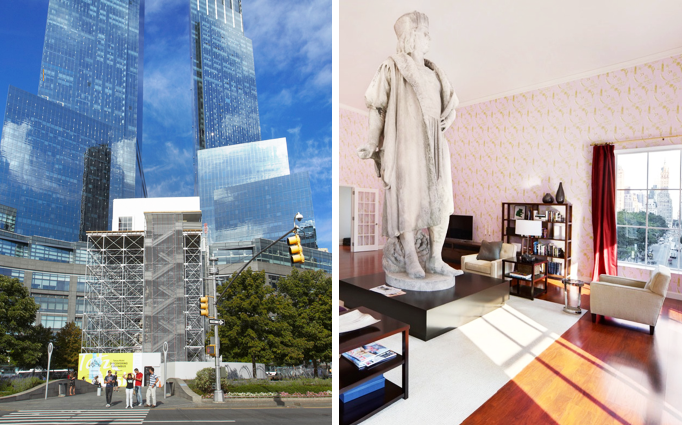 . .
Have you seen the scaffolding in the middle of Columbus Circle? Have you walked right past it paying little attention? Well that's what I did when it first went up. Turns out, it's not just a cleaning of the statue, but also a temporary art installation. 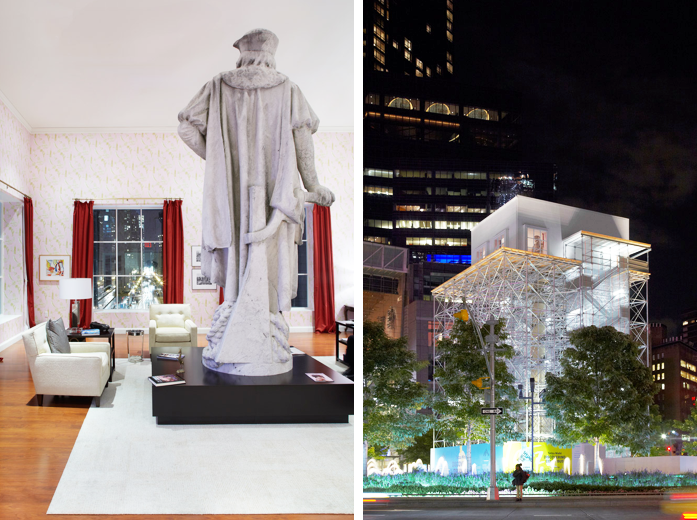 Created by Tatzu Nishi - a Japanese artist known for transforming the human experience with monuments, statues, etc - this installation re-imagines the Columbus Circle statue to be the centerpiece of a fully furnished, modern living room. I went thinking the interior design would be spectacular. Not so much. But the views! They are totally worth the six floor climb. Plus it's a pretty neat experience. People go up there and just hang out with Columbus - read the paper in an arm chair, watch TV on the couch, flip through books on the shelves. It's equally cool as it is weird. And did I mention that it's free? The exhibit has been extended two extra weeks through December 2nd.